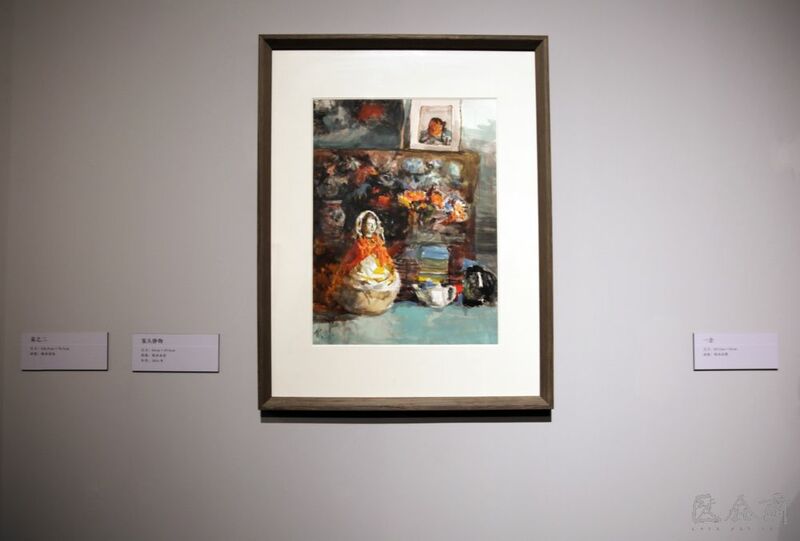 Dai Ze is a representative of the second generation of Chinese oil painters and a witness of modern Chinese art history in the 20th century. 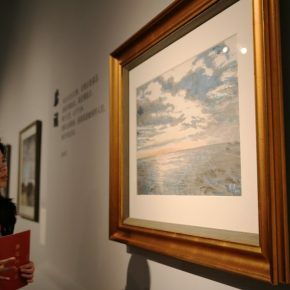 As an outstanding student of Mr. Xu Beihong, Dai Ze took part in the preparation of the Central Academy of Fine Arts (abbr. 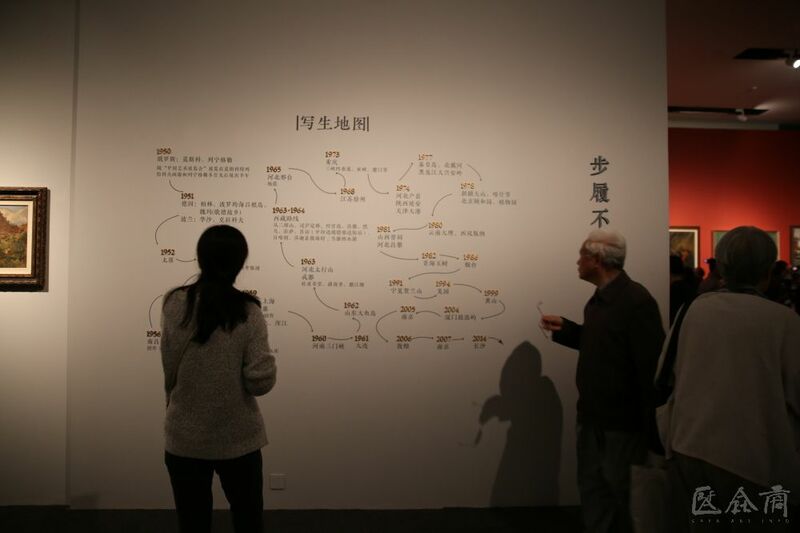 CAFA) in 1949, and he has taught at CAFA for several decades, cultivating many students such as Jin Shangyi and Jin Zhilin. 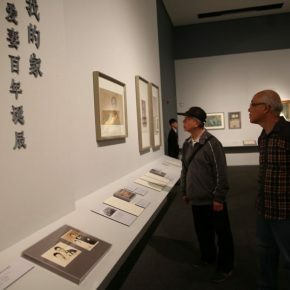 On 20 April 2018, “Dai Ze Art Exhibition” which was the first large-scale solo exhibition of Dai Ze was launched at the National Museum of China, on his 96th birthday. 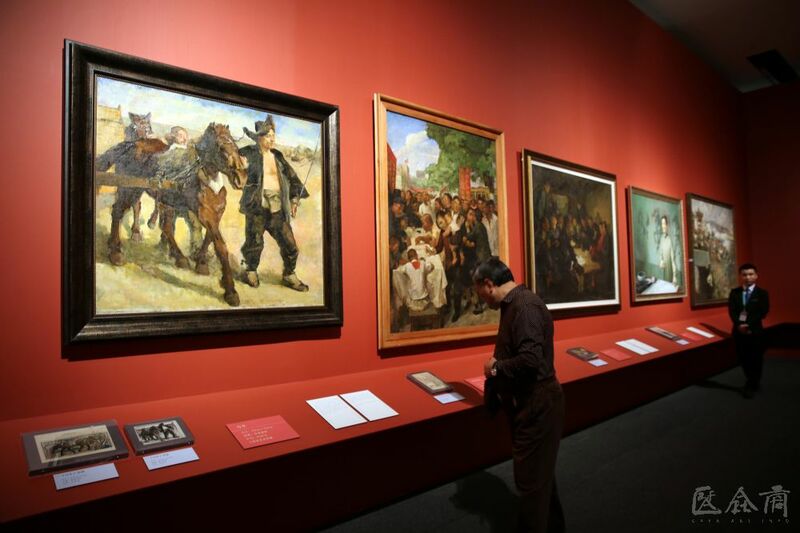 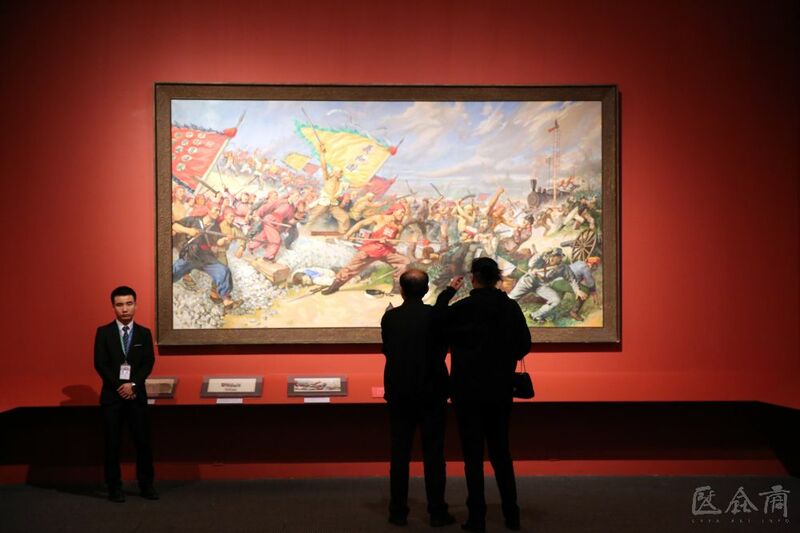 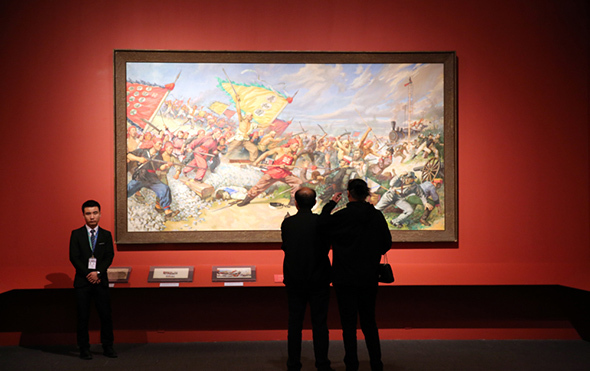 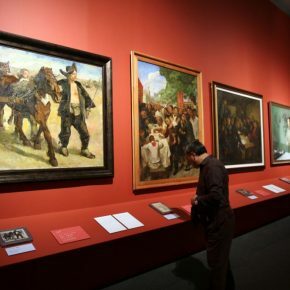 Jointly hosted by the National Museum of China, the China Artists Association, CAFA, and the Beijing Jin Shangyi Art Foundation, it presents more than 170 representative works of Dai Ze’s created during different periods, including his renowned work “The Great Victory of Langfang by Yihetuan” and “Farmers Group”, “The Foreign Guns Team Defeated by Taiping Army”, etc. 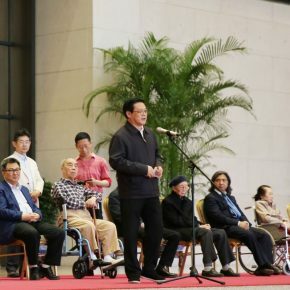 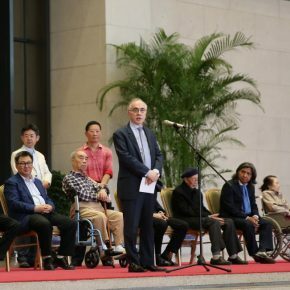 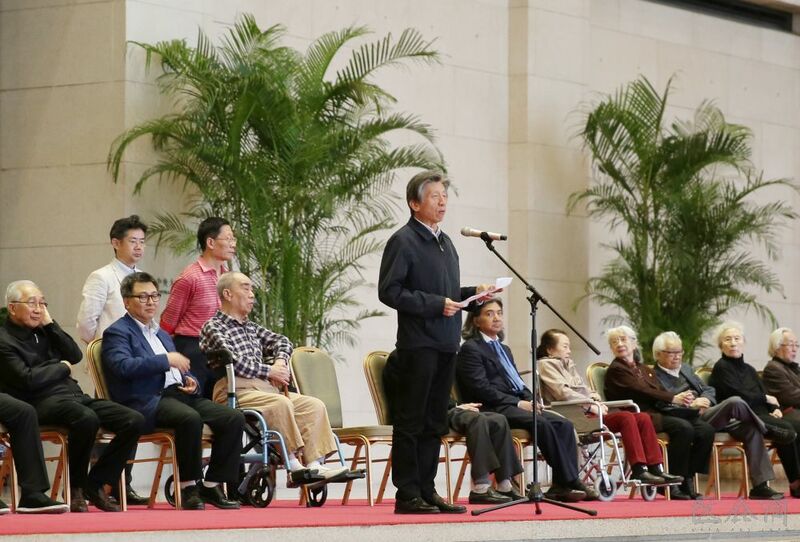 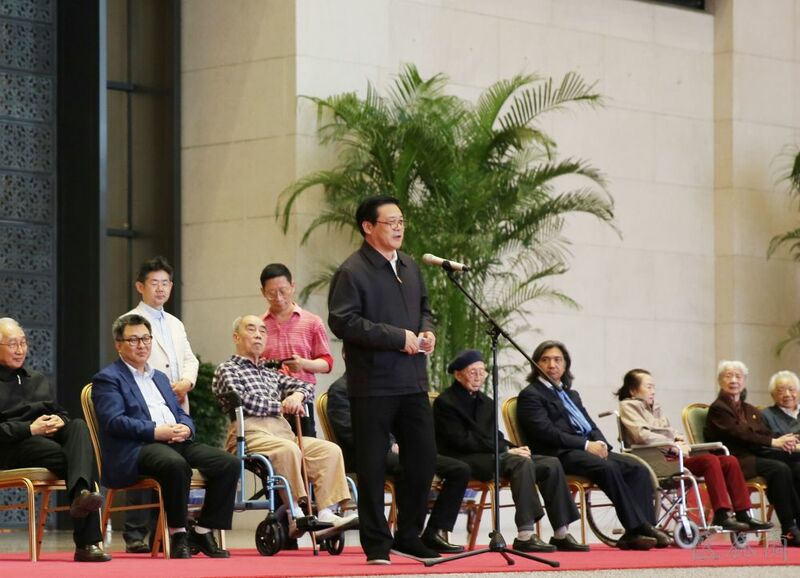 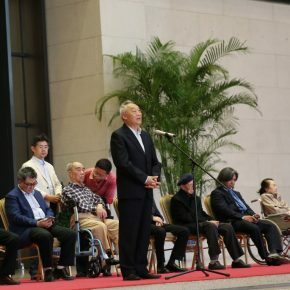 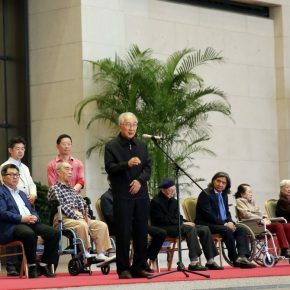 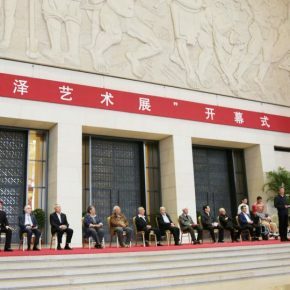 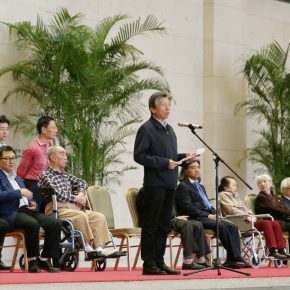 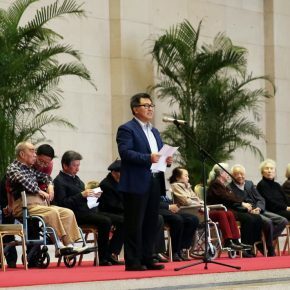 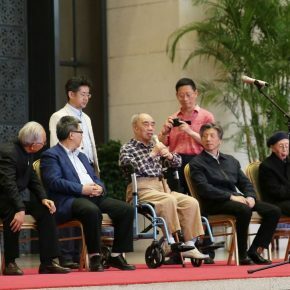 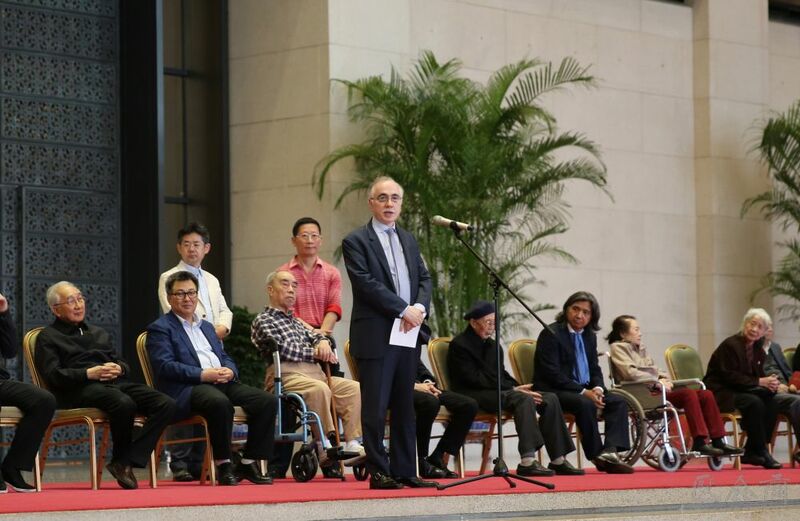 The opening ceremony was held on the afternoon of 20 April, and Dai Ze’s colleagues, students, friends and relatives, as well as some senior artists attended the ceremony. 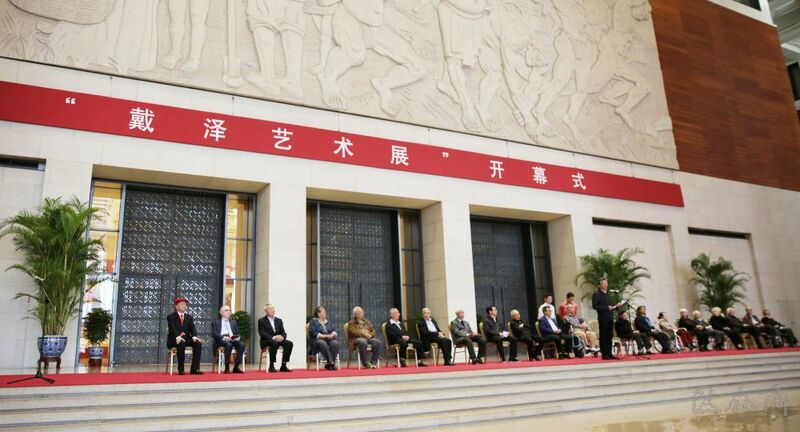 Director of National Museum of China, Wang Chunfa, President of CAFA, Fan Di’an, the Honorary Chairman of the China Artists Association, Jin Shangyi, Party Secretary of the China Artists Association, Xu Li, Ambassador of Pakistan to People’s Republic of China, Mr. Masood Khalid, and Director of Xu Beihong Memorial Hall, Xu Qingping, all delivered a speech at the opening ceremony. 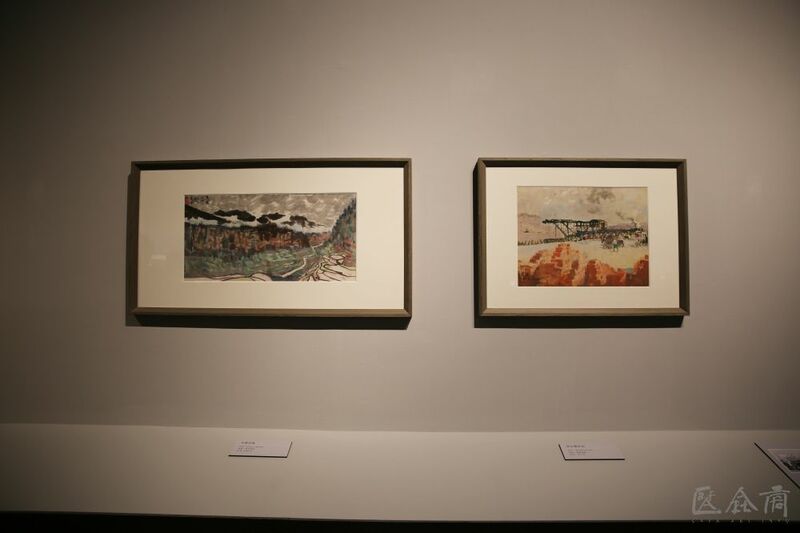 In the course of the development of Chinese fine arts and especially Chinese oil painting art in the 20th century, Dai Ze is a predecessor who has made outstanding contributions to art and is an expert who has made outstanding contributions to art education in China. 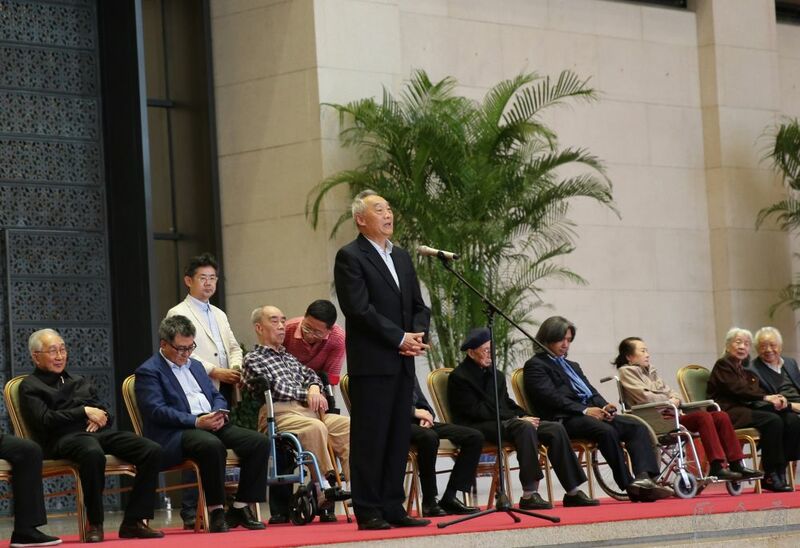 President of CAFA, Fan Di’an, delivered a speech at the opening ceremony and said that: “In the course of the preparation of this exhibition, CAFA celebrated its centennial birthday. 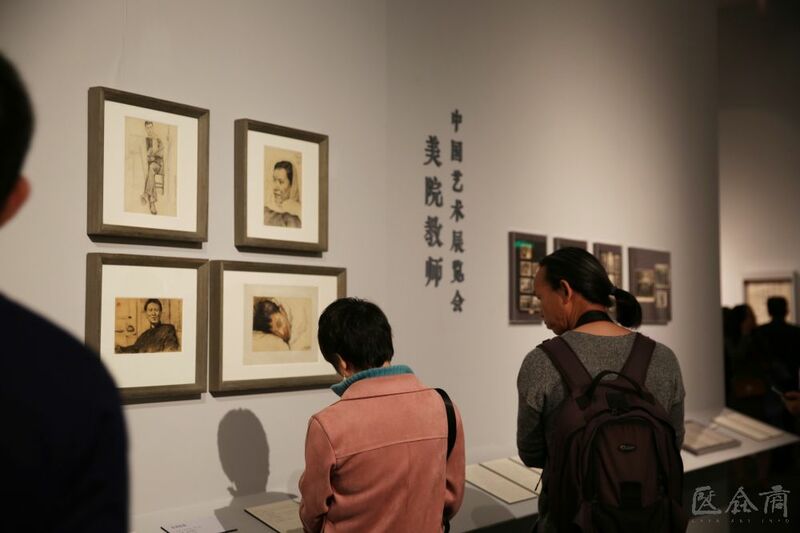 As a student of Xu Beihong, Dai Ze fully understood and practiced Xu’s ideas of art creation and art education, and he is also a predecessor who played an important role in the process of the development of CAFA. 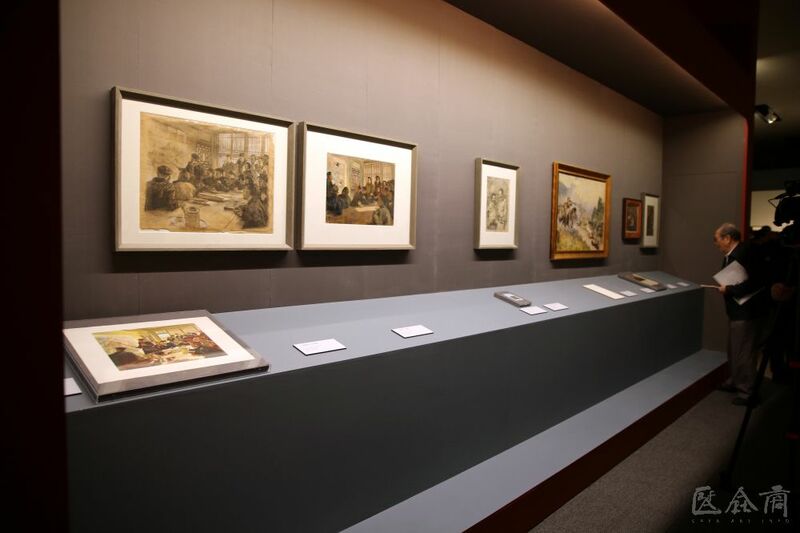 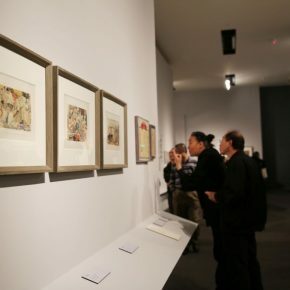 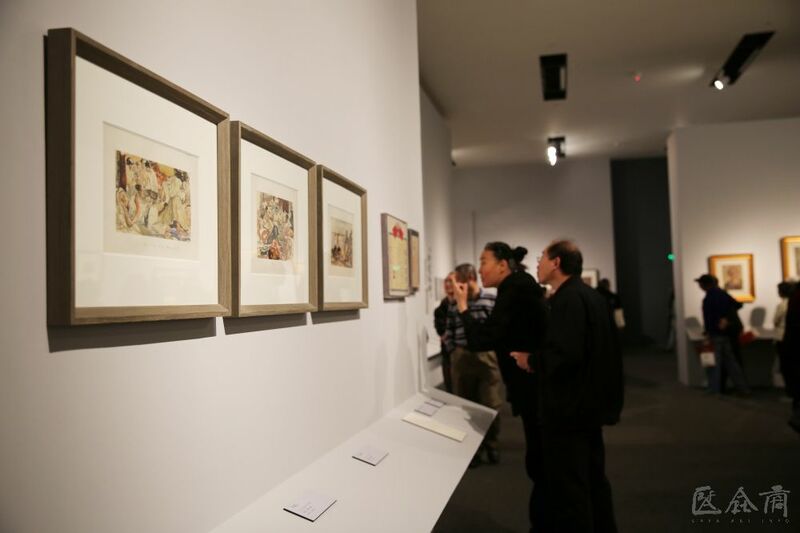 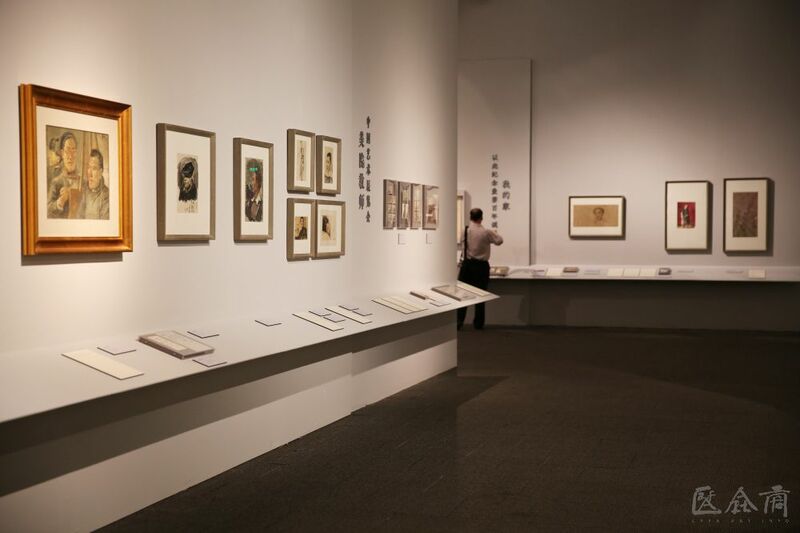 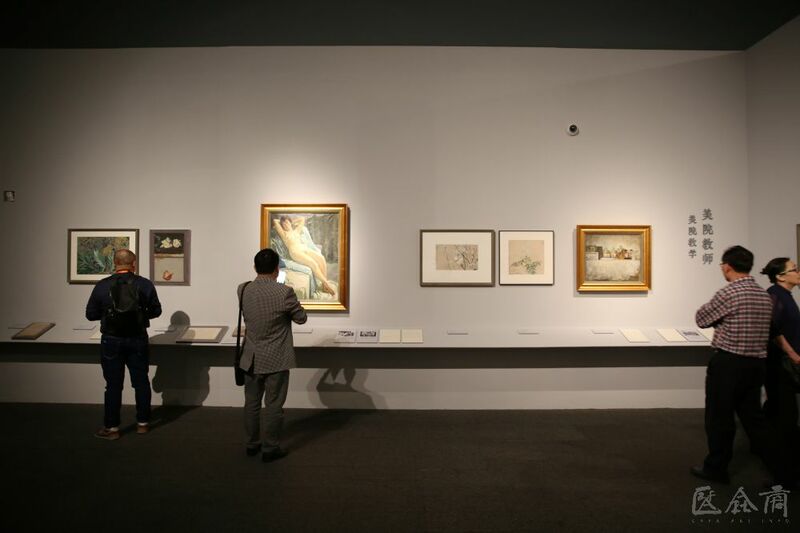 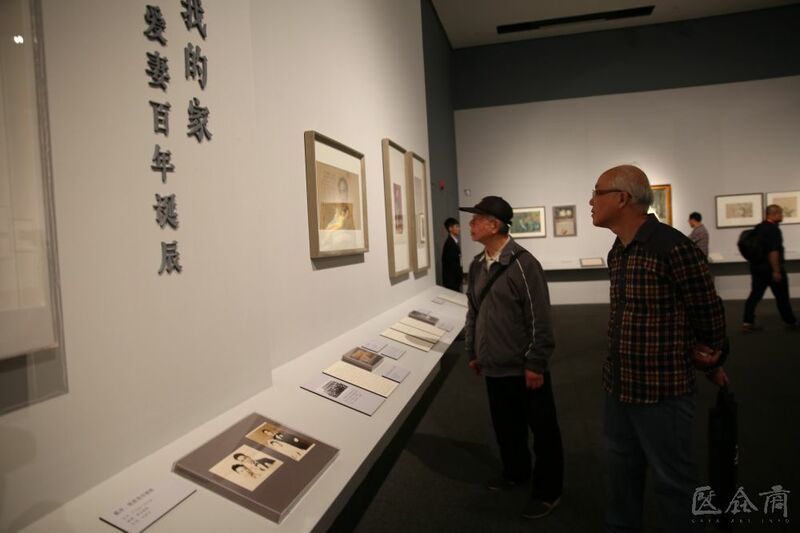 In the opinion of Fan Di’an, the successful exhibition did not only review Dai Ze’s artistic career and artistic achievements, paying a tribute to his artistic life, it also tuned into the artistic experiences of the predecessor to the enlightenment. 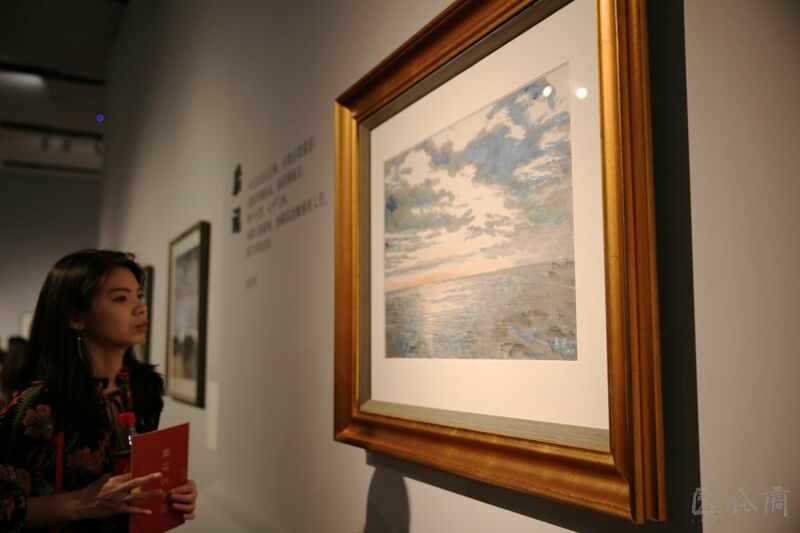 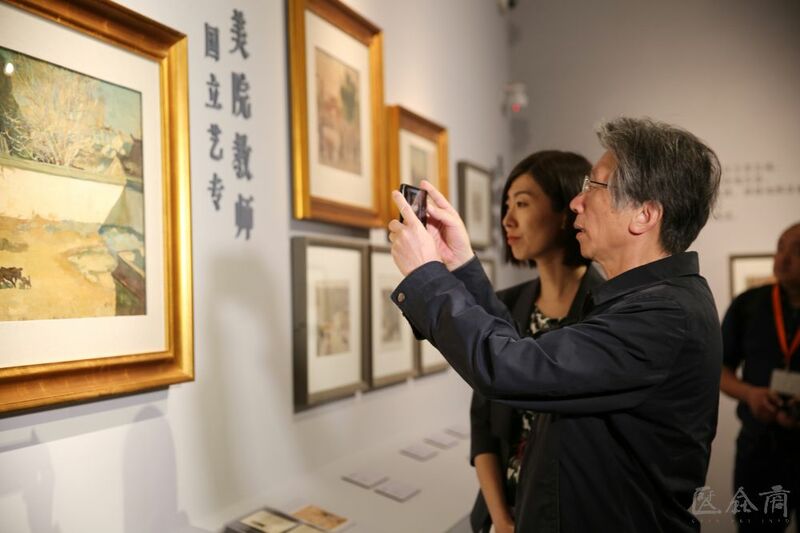 People are now engaged in this art creation and art education, thus enriching people’s cognition of the development of Chinese art since the 20th century. 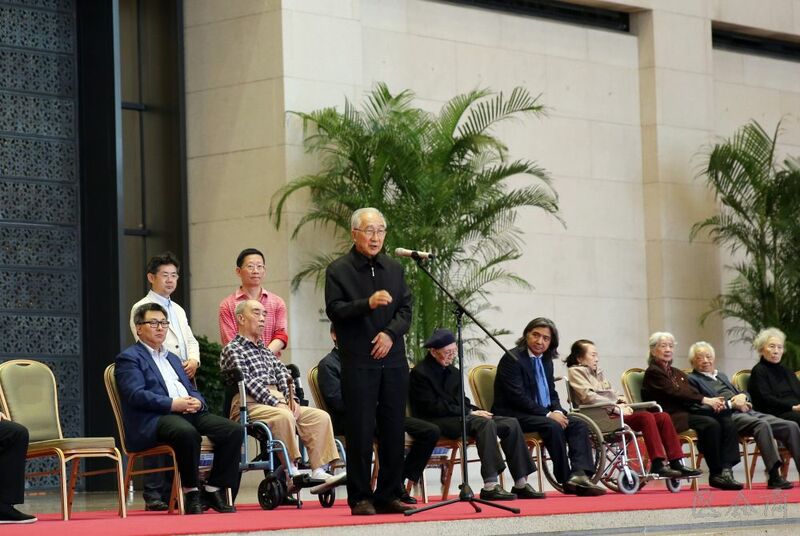 Born in Japan, Dai Ze was admitted to the National Central Normal University in Chongqing in 1942. 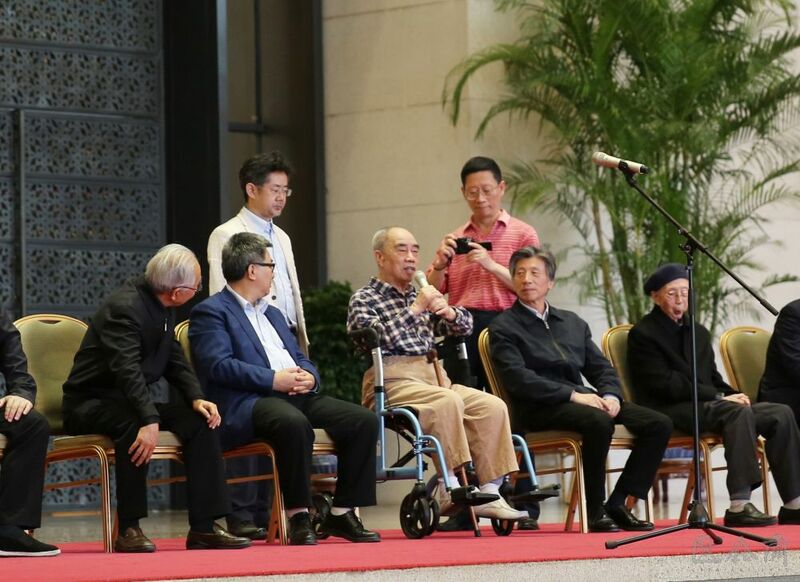 By coincidence, he became a student of Xu Beihong. 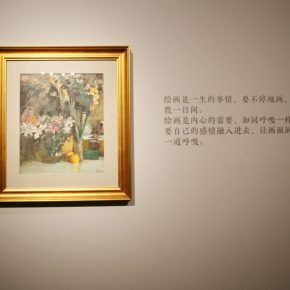 Influenced by his teacher Xu Beihong, Dai Ze’s artistic creations gradually matured and presented with a realistic style, so he was also considered as “the inheritor of Xu Beihong’s art”. 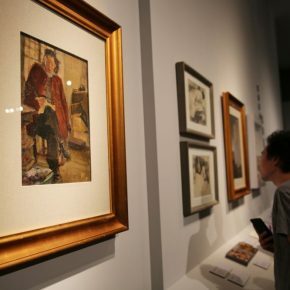 Dean of the Xu Beihong Academy of Fine Arts of Renmin University of China and the son of Xu Beihong, Xu Qingping, recalled the stories of his father and Dai Ze, and he said that it was because of Dai Ze’s unremitting efforts and perseverance that Xu Beihong’s masterpiece “Wait for Me” was repaired and preserved. 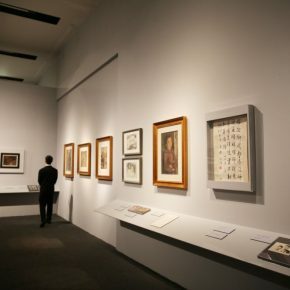 The exhibition starts with Dai Ze’s sentence – “Believe in your eyes and draw what you see.” More than 170 representative works created by Dai Ze during many periods were selected and combined with diaries, manuscripts, letters, photos, etc., applying the first-person narrative to completely depict the long artistic history of this senior artist, based on a timeline and combined with themes so the show is divided into six parts. 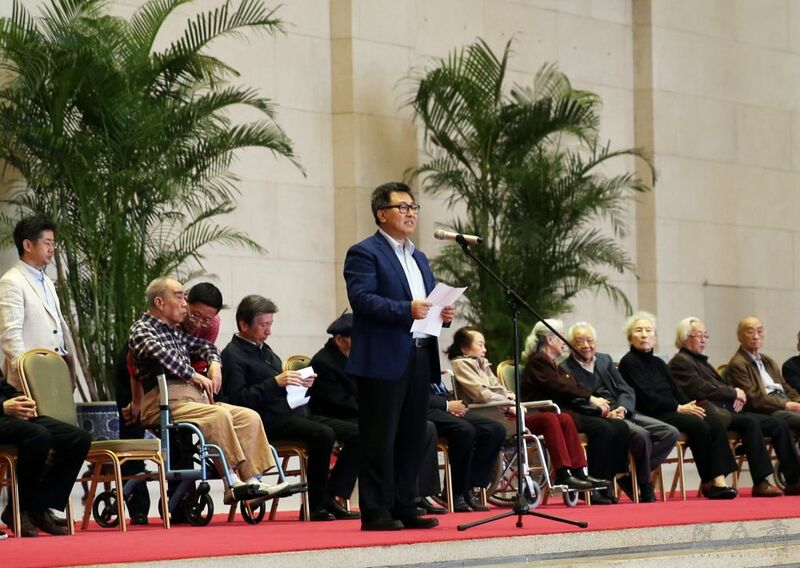 “A Student of the National Central Normal University” presents the stories of the time he spent studying at the National Central Normal University in 1942. 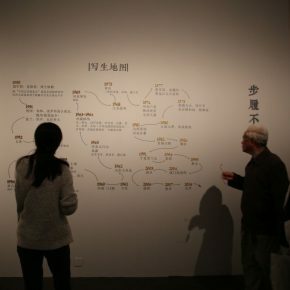 During this period, Dai Ze met his lifelong friend, classmate, colleague, and neighbor, Wei Qimei, and he was directed by some senior teachers such as Fu Baoshi, Chen Zhifo, Lyu Sibai, as well as his most important teacher, Xu Beihong, who directly guided his study, and it laid the foundation for his realistic thought; “Teacher of the Art School” which presents a few watercolor paintings created by Dai Ze during his work at the National Beiping Art School in 1946. 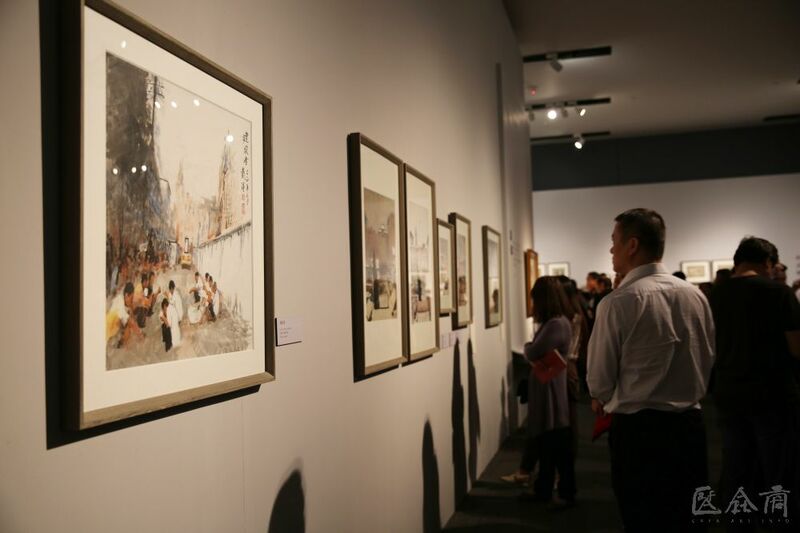 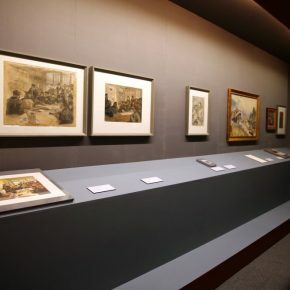 “Dongdan Stall” and “Old Scenery of Beiping” portrays the street scenery of Beijing and some sketches of the school buildings of the National Beiping Art School, the sketches of teaching and his friends and relatives; it warmly presents “My Home” that portrays in detail the stories of Dai Ze, his wife and family. 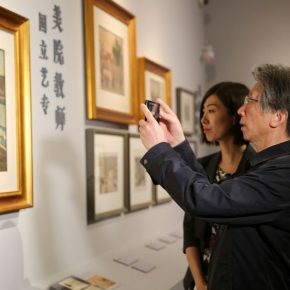 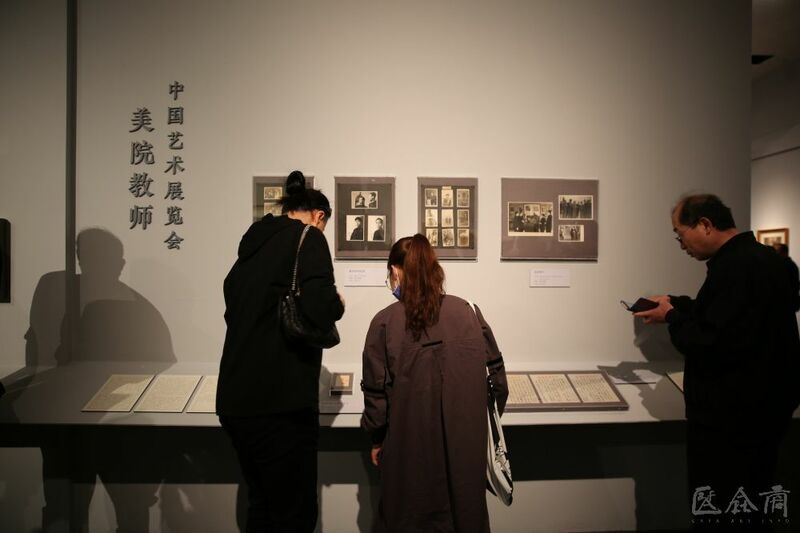 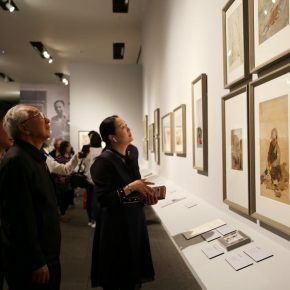 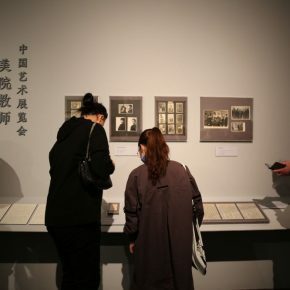 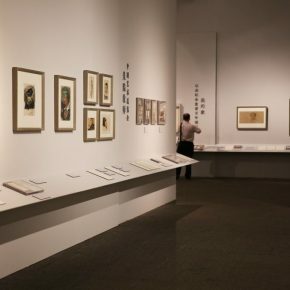 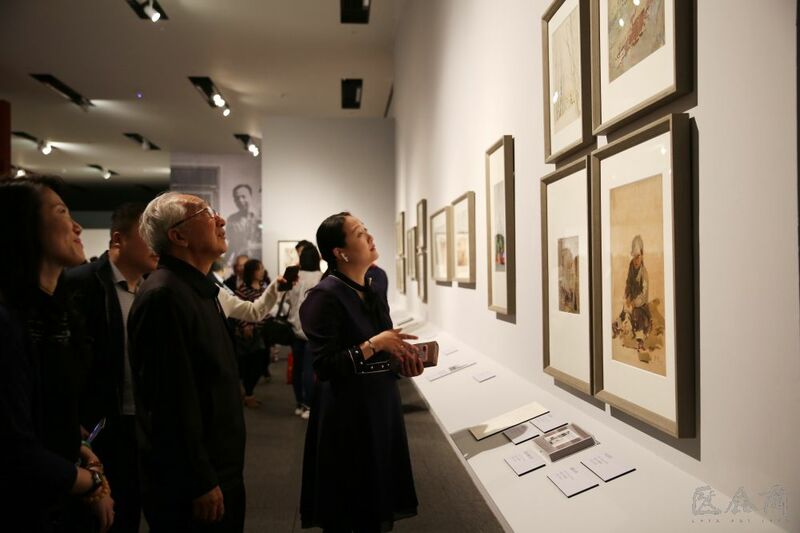 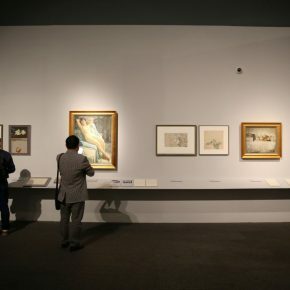 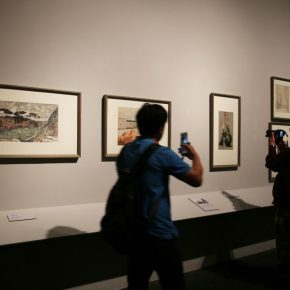 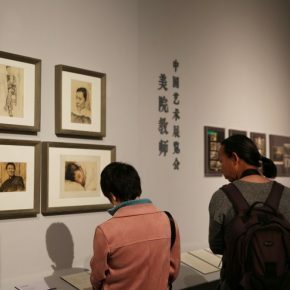 Dai Ze specially created the “Chen Biwei’s Portrait” for his wife, and a piece of calligraphy written by Xu Beihong to celebrate the new couple’s wedding which is also on show at the exhibition; “Thematic Creation” shows some large-scale historical paintings by Dai Ze, such as “The Great Victory of Langfang by Yihetuan”, “Dazexiang Uprising”, “Farmers Group”, “The Foreign Military Team Defeated by the Taiping Army”, etc. 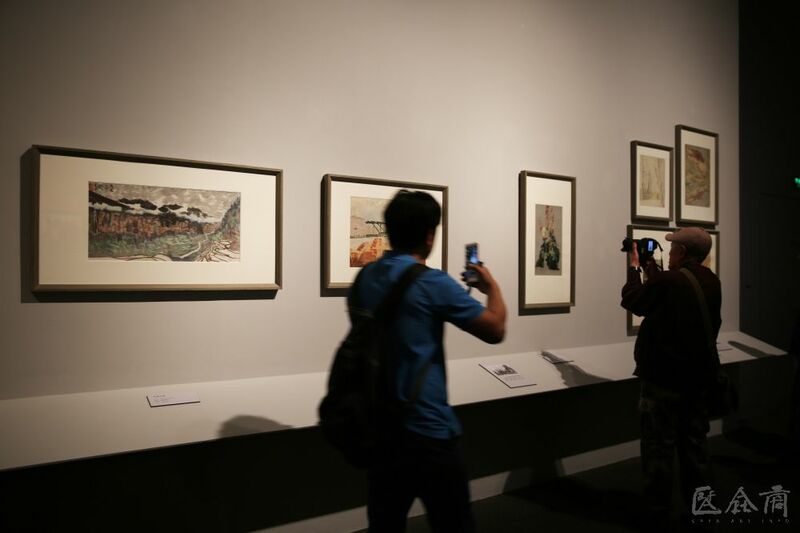 ; “Has Never Stopped” starts with a map recording the places where he has sketched since 1950. 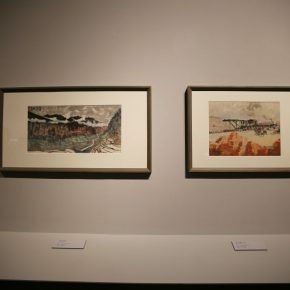 Dai Ze traveled to Russia, Germany, Poland, North Korea and all regions in China over the past few decades and he drew during each journey and some paintings remain; in the section of “The Ode to the 90-Year-Old Painter”, the latest creations by the senior painter are presented as he continuously created when he was more than 90. 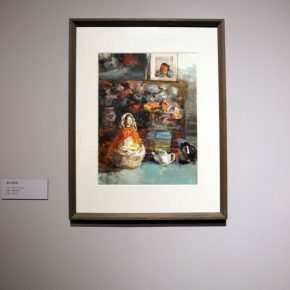 With a pure, free and easy style, his paintings portray some frequently seen themes, such as a bunch of flowers placed in a vase, a bowl of fruit, a glimpse of the scene outside the window, a corner of the street and so on. 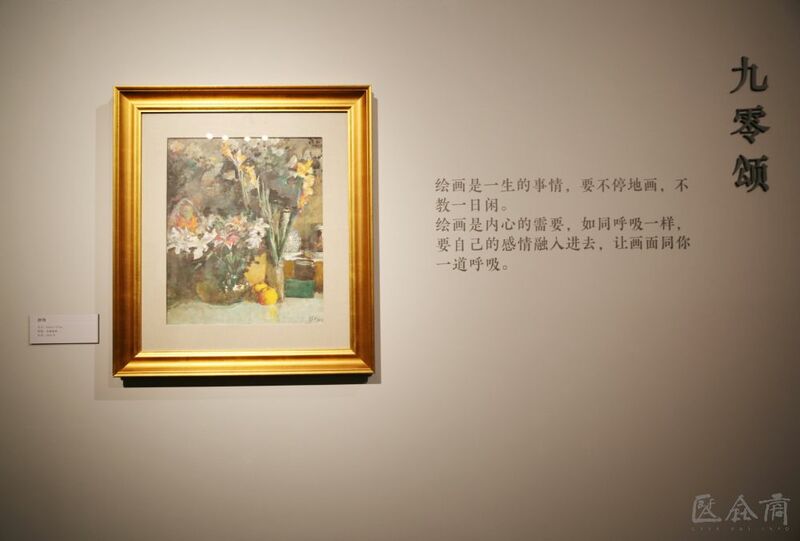 Dai Ze’s latest creation discards the macro thematic portrayal and combined the sophisticated artistic foundation and profound life experiences with the portrayal of some common themes in life and it is considered as a “plain bloom”. 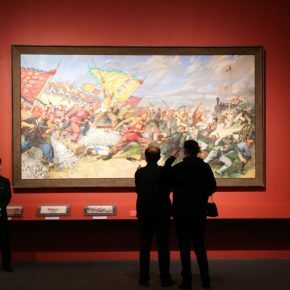 Dai Ze, who is now aged 96, has witnessed the centennial history of CAFA, and he is known as the “living fossil” in the history of modern Chinese art. 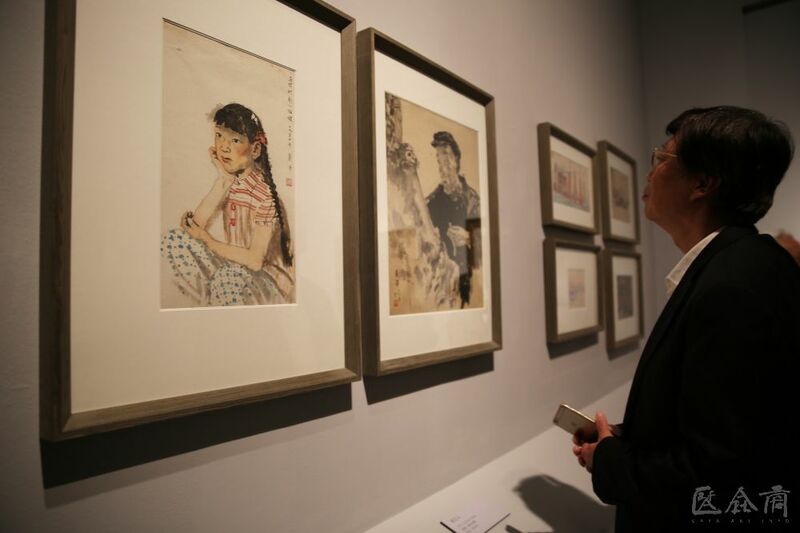 When he looked back on his artistic road, Dai Ze said: “I don’t regret the past, and I am satisfied now. 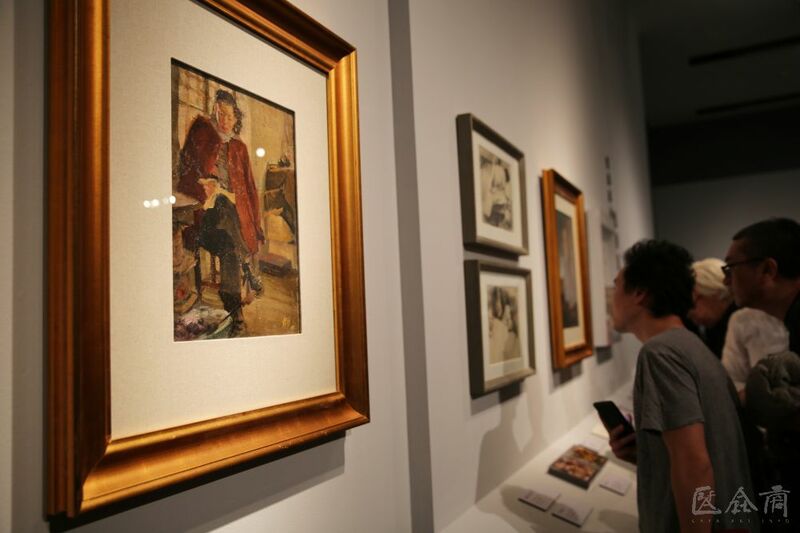 I have always followed the trend of the times. 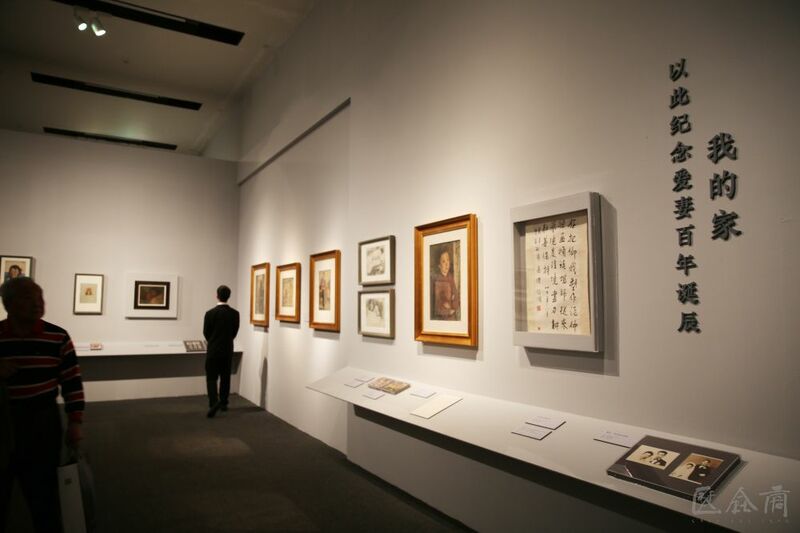 All things have occurred naturally and calmly”. 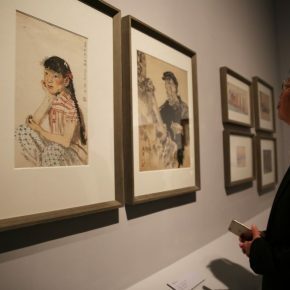 It is this light and detached attitude that makes him never want to stopped drawing in his old age. 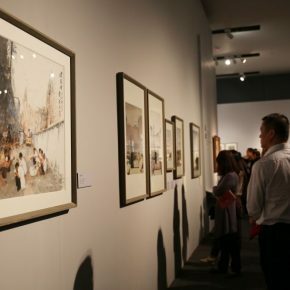 The works are filled with a breath of life and true feelings and real intention, and fully demonstrate the plain realistic creative faith and firm artistic feelings of the old generation of artists.